← Lady Locavore Reaches 10,000 Hits! Not too sure what to do with Zucchini? Think all you can make is Zucchini Cake?Here is a family pleasing recipe sure to satisfy even the fussiest pallet. This is a great way to enjoy some healthy greens in a fun and tasty way. It also serves to be a great snack for kids – they’ll love the taste, and you’ll love feeding them something healthy! 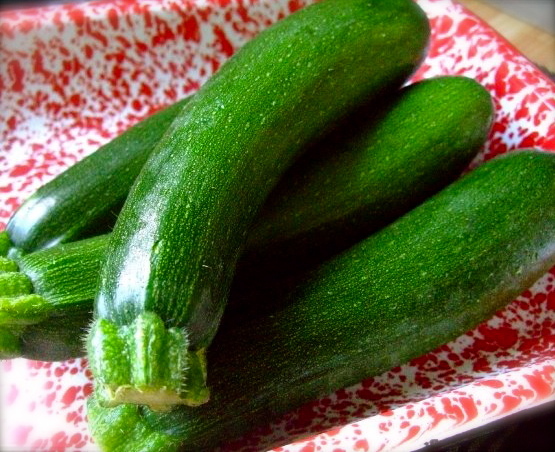 Heat oven to 425 to 450º F.
Trim the zucchini ends and cut crosswise in half, then cut each piece into 1/4-inch sticks. Add cheese to coating mix in shaker bag; shake gently to combine. Whisk egg in medium sized bowl. Add zucchini; toss to coat. Use tongs to place 1/4 of the zucchini in shaker bag; close bag and shake to evenly coat. Spread on a baking sheet sprayed with cooking spray. Repeat with remaining zucchini. Bake for 12 to 13 min. or until golden brown, turning them over half way through. Remove the baked fries from the oven, and serve them with your favorite dipping sauce. Try this with recipe with a variety of veggies such as cauliflower or broccoli or even mushrooms. Shake together and use to season almost anything for a crispy coating for the oven. Great with chicken or any different type of veggies. This recipe works well to make your own Mozzarella Cheese Sticks too! This entry was posted in Uncategorized and tagged Zucchini. Bookmark the permalink.